A tire for your Tin Lizzie with a 12,000 mile guarantee! 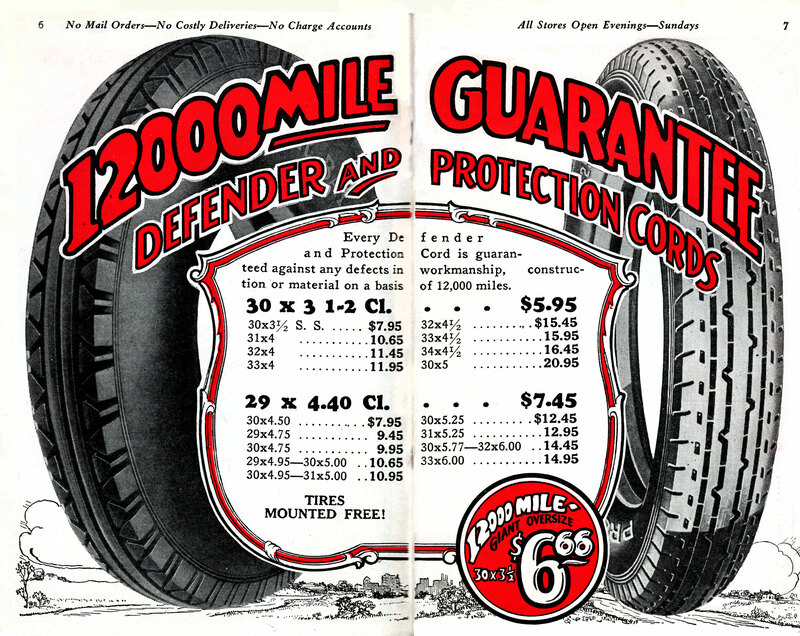 The double-page spread made these tires look absolutely gigantic But then you get just twelve thousand miles from them – considerably fewer than my current tires are good for. On the other hand, the $6.66 price is also lot lower than today’s prices… and there were a lot fewer paved roads to drive in the 1920s. As always, click the picture to explore in detail. 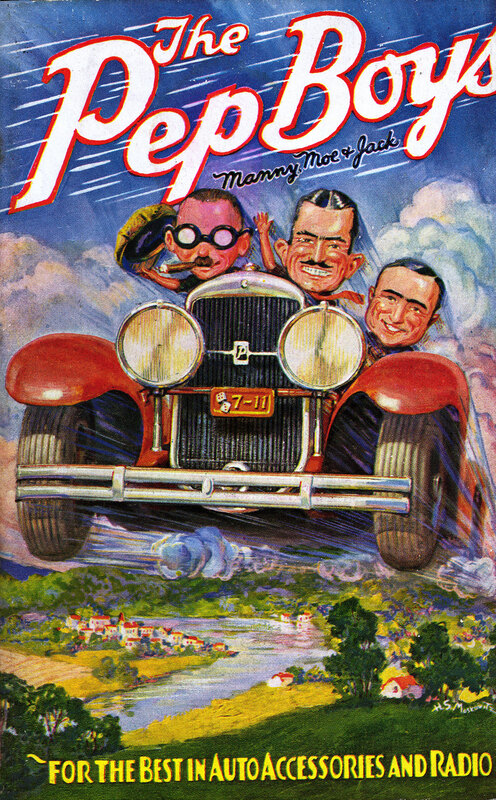 The Pep boys — Manny, Moe, and Jack — were real people, friends who opened their first auto parts store in Philadelphia in 1921. Click the cover picture to checkout the license plate number on their car…and explore the town they’re soaring over. Hmmm… how do you judge mileage when you’re flying? Previous Previous post: Has Hubby a Hobby? Next Next post: It Walks!